Sharon was born and educated in Ipswich and commenced her employment at Kerseys in November 1985 as an office junior. After steadily rising through the ranks, Sharon undertook training with the Institute of Legal Executives and was appointed a fee earner in February 2004. Sharon maintains her own case load as well as assisting Kerseys’ Conveyancing Manager, Brian Smith. 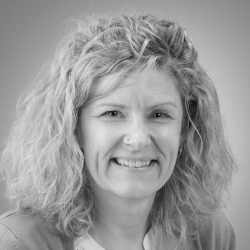 Sharon specialises in all aspects of residential conveyancing including, but not limited to, sales, purchases, remortgages and transfers of equity. Sharon’s many interests include the theatre, cinema and keeping fit.